At the end of the day, most of us wonder what we did the entire day! We get frustrated on the pending tasks getting carried over day by day. Be it at home or at work, some or the other work just has to wait for tomorrow! Don't we wish we had a couple of more hours in a day? Unfortunately, it is not the solution. The best option to manage time is to work on self-analysis, planning, self-control and evaluation. Like money, time is limited and valuable, and thus, needs to be used wisely. Time management strategy is different for different individuals. It depends on one's personality, self-discipline and self-motivation. You can try incorporating some of these strategies that suit you to manage time efficiently. 1. Track how you spend your time: Keep a time log for a week to see how well you are utilizing time. This will help you identify the most time consuming tasks and easy tasks. By evaluating this log, you can be more realistic in planning your schedules and daily activities. 2. Get organized: Make use of time saving tools like appointment calendars, to do lists, answering machines, emails etc. 3. Prioritize: One of the best and easiest ways to prioritize is to make the "to do" list. But, be careful not to keep multiple lists at the same time. You can rank them in the order of high, medium and low depending on your priorities. You can even use color codes. 4. Schedule it: Scheduling is committing to the things that you want to do. Schedule yourself for important tasks when you are more alert and productive. 5. Get help when required: Get help and buy time by paying someone to clean your house, transport your kids to their extracurricular activities. This way you can earn some time for other tasks. 6. Don't procrastinate: Stop putting off your tasks for different reasons. If you feel the task is unpleasant and overwhelming, try breaking it into smaller tasks. This may help you reach specific and realistic deadlines. 7. Say no to multitasking: Regular multitasking may lead to low concentration and focus, thereby reducing productivity. Psychological studies claim that multitasking does not save time. Infact, the opposite is true. 8. Stay fit and healthy: It is important to allot some ‘me' time to relax, exercise and eat on time. This helps to rejuvenate physically and mentally, making you accomplish your tasks at ease. Regardless of the number of time management strategies you use, it is important to evaluate how effectively it helped you. Try to ask yourself a few simple questions: Is there a healthy balance between work and home? Are you able to accomplish all the important tasks in your life? Are you able to invest enough time for your own well-being? 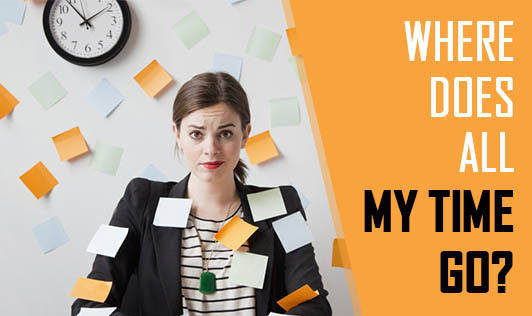 If your answer is no for any of these questions, then you need to rework on your time management strategies.